After spending around a year as a stray, Arnie is understandably very nervous. When he came to stay with us, Arnie would hide away all the time and wouldn't let anyone touch him. He's come on leaps and bounds while with us, he now enjoys being made a fuss of, and his sweet nature is shining through. He is still terrified of being picked up though, and is looking for an experienced and understanding owner who can quietly encourage him to gain more confidence. 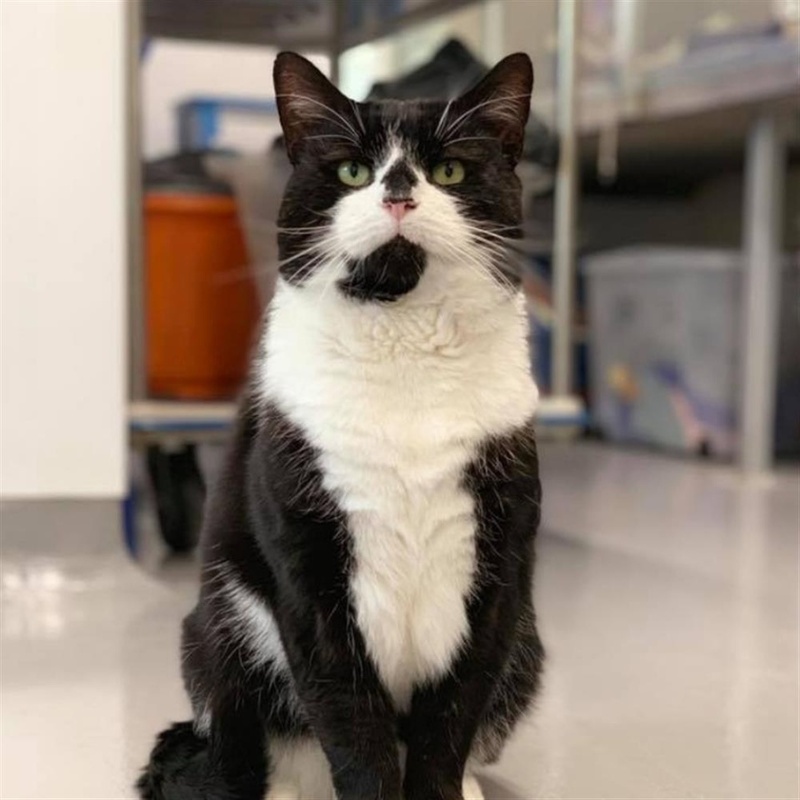 He is still nervous and will jump at unexpected noises or movements, so he would ideally like a quiet home where he will have lots of space to chill out. He may suit a home with older children who will understand that he needs his own space and doesn't want picked up. Arnie would like unrestricted access to the garden so he can spend time outside when he wants to. We think he would prefer to be the only pet in his new home.